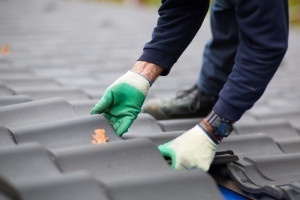 If you thought fixing your leaky drafty roof was a headache, you’ll soon find out that finding the right roofer is not exactly a walk in the park. Though it may only take you a matter of minutes to skim down a Yellow Page’s directory or interrogate the life out of good ol’ Google, finding the right roofer who can promptly, efficiently and affordably meet your project needs might turn out to be a bigger hassle than you would normally anticipate. To help you sift through mud, we’ve gathered some tips to help you distinguish between the best and not-so-best. Are you licensed, insured, and bonded? Having a roofing contractor that is certified, insured, and bonded ensures that you are hiring a professional who is legally permitted to work in your town based on the laws set by the state, county or municipality. Proper licensing also indicates that your contractor is serious about his work and cares about preserving a good reputation. Making sure that your roofing contractor is insured and bonded saves you the unfortunate hassle of having to pay for any damages or faulty installations that may occur during construction. This also ensures that all the workers or subcontractors are also covered in case of any injuries suffered while working on your project. A “bonded” roofing technician is insured by a third party insurance provider that is designated to reimburse clients for any and all damages done as they completed the job. Ask your roofer for proof of insurance and licensing. Most contractors will have that information posted where customers can clearly see it. Do you have any solid references? Word of mouth is powerful, especially when it comes from a direct and reliable source. The Better Business Bureau encourages homeowners to inquire about local references. Reputable roofing companies are normally more than happy to oblige. But be advised that some roofing companies are likely to provide you with a list of their most satisfied customers, and not the ones that are not-so satisfied. Also keep in mind that when dealing with a large number of customers, there’s always a chance for some to be unsatisfied. When hiring a roofer, keep in mind that there’s always a possibility for mistakes and flaws in some area, so be sure to ask your roofer if they offer a guarantee on the installation. Some of the products and materials used during the job may come with guarantees, but that doesn’t cover the installation. You’ll want to make sure that even when the job is done and over, your roofing contractor will be true to his word if the installation was done improperly. Do you offer a warranty for the new roof? At lot of the new roofs that are being manufactured share similar designs with the older models, cost the same, but are more likely to last considerably longer. As your roofing contractor if he provides a warranty for the new roof. Most warranties cover a minimum 20 years. Do you provide written documentation? Make sure that you get everything solidified in clear written form, that way you can avoid any miscommunication or lack of understanding. Having a clearly defined written contract will ensure that you and your contractor are on the same page, nor can they weasle out of any parts of your agreed-upon terms. Make sure that everything is spelled out, like your estimate, scope of the project, beginning and completion dates, and the list of materials your roofing contractor plans to use and the specifications that are involved.